when selling or buying your property. Christos Prappas started his real estate career in 2001. Over the years he has been the recipient of multiple awards and professional designations, and has experience with residential, new construction projects/developments as well as commercial properties. He has also successfully invested in his own properties for over 20 years and helps guide clients through the investment process. Before entering real estate sales, Christos studied real estate appraisal in college. 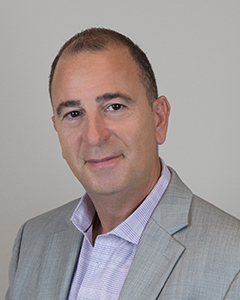 Christos' wide range of experience and tenure in the industry is a significant advantage to his clients and allows those clients to successfully meet their real estate goals. Christos is able to help sellers maximize their profits and minimize the time that their property is on the market by being directly involved in every step of the transaction. An excellent negotiator, Christos works diligently to provide his buyers with the information needed to find a home that matches their wants and needs at the best possible price. His clients value Christos' excellent negotiation skills as well as his responsiveness and availability. Outside of his work, Christos enjoys the wide array of dining and entertaining options in the city of Chicago and he loves to travel internationally when possible. He is an active member in the community and currently serves a president in a non-profit organization. Christos is a long time resident of Chicagoland and currently resides in the north suburbs with his wife and two daughters. With so many agents to choose from it's hard to know which one is best for you. The important thing to consider is who has the experience and knowledge to best represent your interests. Christos values loyalty and the relationships he builds with his clients. He will tell you the truth, give you the information you need to make the most informed decisions, and most of all, he will get the job done. ""I can not imagine any other realtor that would have done a better job than Christos did in helping sell the home that has been our family since 1960. He was wonderful to work with. He advised us on how to make the home look fresh and tidy to put up for sale. And he priced the home perfectly as we had multiple offers and sold over the asking price in only 2 weeks. Christos then helped us in the search to find a new home, which we just closed on last week. Christos is professional, amiable and very wise about the real estate market. We would recommend him to our family and friends.""